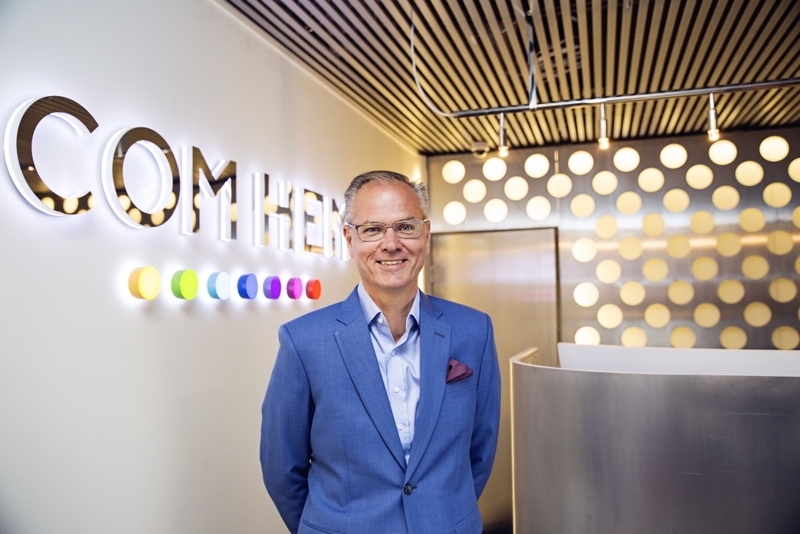 A new Com Hem mobile service and fixed-mobile convergence will be key to Tele2’s growth this year, according to CEO Anders Nilsson. Growth from Tele2’s newly acquired TV base in Sweden was flat last year, as was its cable and fibre fixed-line subscriber base, with Tele2 seeing growth coming from core services and mobile post-paid subscriptions. Commenting on the combined company’s full-year results Nilsson said that he saw “great opportunity to enhance this growth in coming years as we launch Com Hem mobile and migrate customers into fixed mobile convergence benefit plans through the more-for-more strategy”. Nilsson said that “legacy services”, which include prepaid mobile, fixed phone and digital-terrestrial TV services, “remain a drag on growth overall” and recorded a combined decline of 12%. He said that the strategy for these services going forwards would be to maximise profitability by stripping out costs while “gradually moving customers into core services which will improve customers satisfaction, reduce churn, increase [average spend per user] and make them eligible for [fixed-mobile convergence] benefits”. As Tele2 has now pulled out of problematic emerging markets – the operator recently agreed the sale of its Kazakhstan joint venture with Turkcell to the local incumbent – the low-growth Swedish market will become more important to it. Nilsson said that synergies from the Com Hem merger along with selling mobile to fixed customers and vice versa would be key. Tele2 is now aiming for an enhanced goal of realising SEK900 million (€86 million) in synergies from the merger. Tele2’s TV base in Sweden leapt from zero to 1.057 million at the end of the year as a result of the Com Hem acquisition, but this represented a drop from 1.098 million on Com Hem’s numbers, while cable and fibre customers numbered 658,000. Digital-terrestrial TV customers from Boxer numbered 399,000, down from 443,000. Digital TV revenues in Sweden amounted to SEK512 million for the year, with DTT contributing SEK217 million. Fixed broadband revenues amounted to SEK381 million. Tele2 posted revenues of SEK23.7 billion for the year, down from SEK23.7 billion, while operating profit slipped from SEK3.75 billion to SEK3.47 billion.